Jewelry Repair Order Forms with Envelope 764T At Print EZ. Jewelry Repair Order Forms with Envelope Item No. 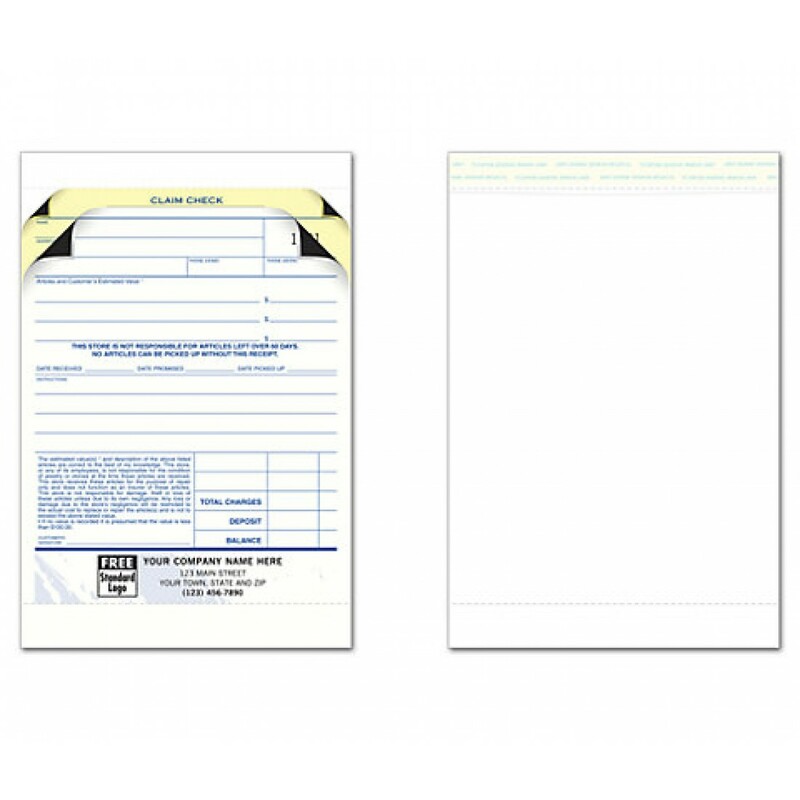 764T Size: 5 2/3" x 7 3/4"
We have a range of business forms created for specific needs of different types of businesses including service oriented businesses. The product displayed here is meant just for jewelers and particularly for repairs orders. 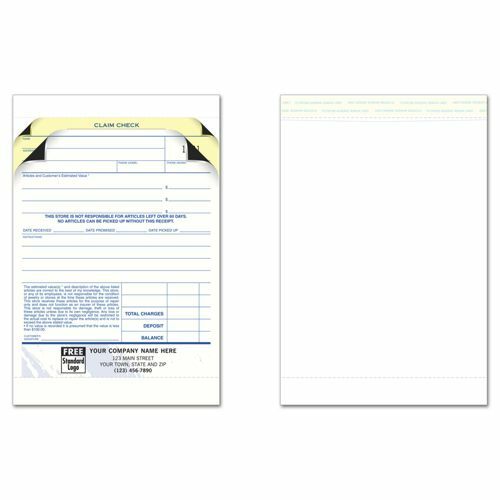 Designed as a claim check, this form has preprinted areas for details of the jewelry handed over for repair as well as instructions and charges the customer has to pay while taking delivery. Keeping in mind that it involves precious items for repair this product is sold along with an envelope for the jewelry piece received for repair. These jewelry repair order forms are available in two colors, burgundy and blue. Get your business noticed by personalizing the form with your business information and a standard logo printed in your preferred ink color and typestyle.